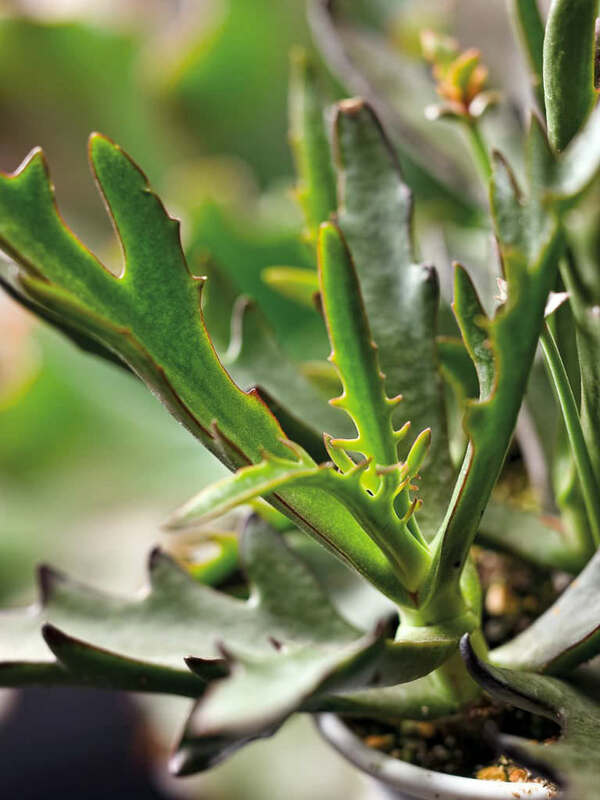 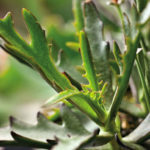 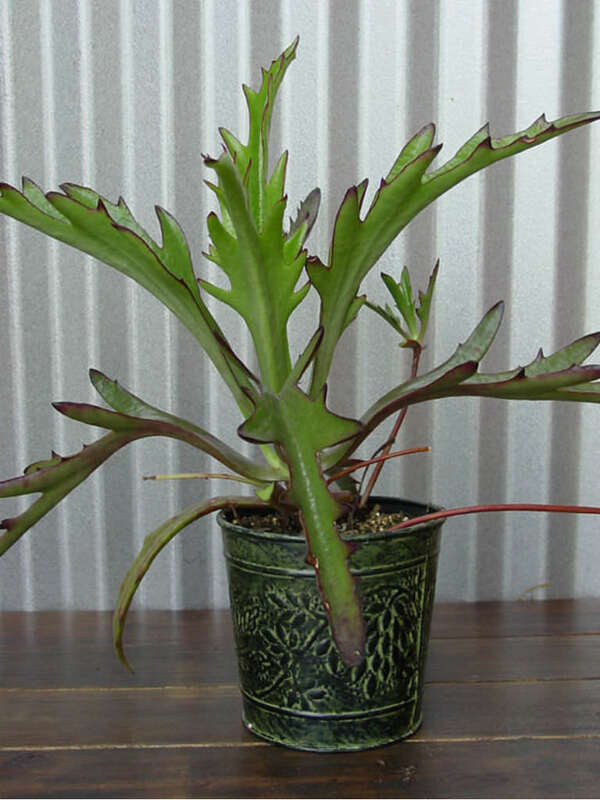 Kalanchoe ‘Elk Antlers’ has very unusual shaped leaves and plant habit. 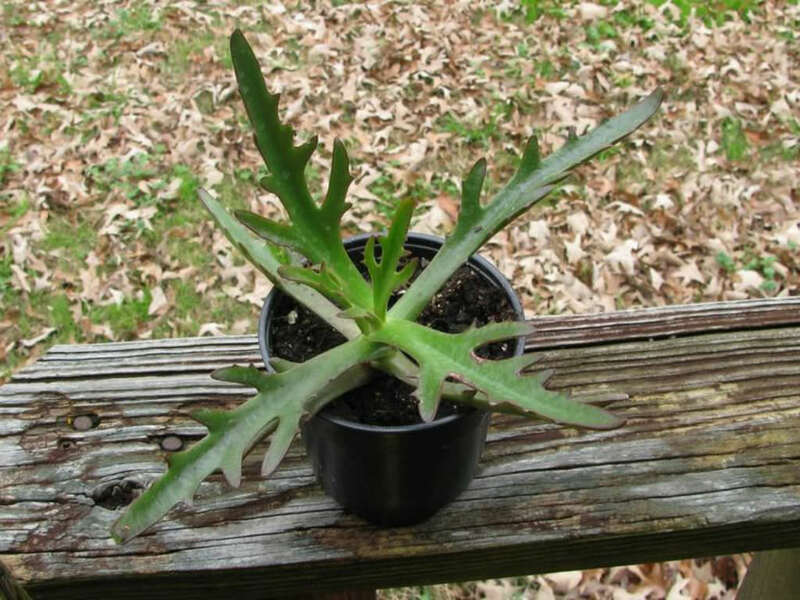 It has uniquely dissected foliage that is bright green with deep maroon margins. 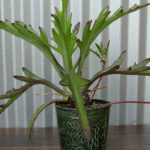 The plant sends out aerial shoots with mini-plantlets on the ends.